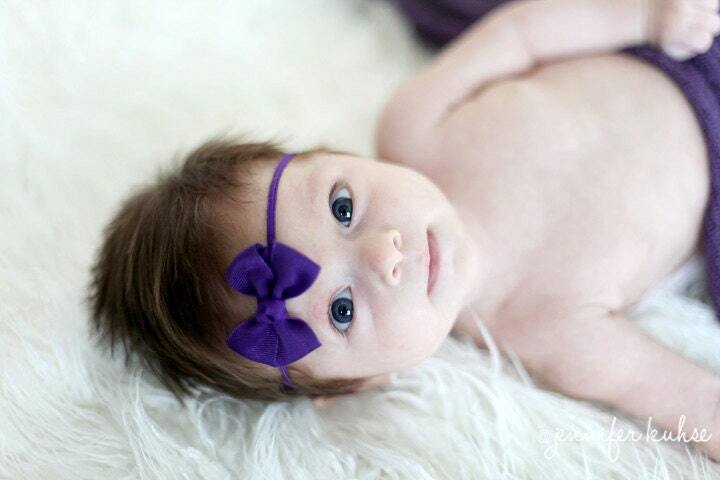 ♥ Attached to a soft elastic headband!! ♥ Treated ends to prevent fraying!! ♥ Created with High Quality Ribbon!! All of our items are made to order. We ship all items First Class Mail via USPS with tracking & delivery confirmation. Which means you can track your item from the moment it leaves my hands! For current shipping turnaround, please see shop announcement. Adorable small headband that will be perfect for my newborn daughter. It's exactly what I was looking for. Great quality too!